If you’re a buyer or seller and your agent seems to be coasting through a transaction that’s actually good news! A real estate agents reality is that no deal is easy and if its perceived by their client that it’s easy then in fact the agent truly has done a great job. Gone are the days of a buyer calling up, the agent showing a home, writing the deal and it closes. This is an agents dream but rarely is it reality! Transactions nowadays are more complex than ever. As a seller you definitely don’t want to believe your home is sold merely after receiving an accepting an offer. The truth is that after an offer is accepted is really when things start happening. Check out our article Home Buying Process – Timeline & Paperwork to learn more about the home buying process from a buyer’s perspective. Once an offer is accepted for the buyer or from a seller, many wheels start turning. Timelines for inspections and due diligence start and escrow begins their process. Think the negotiations are over, not a chance! Buyers and sellers will often be presented with mortgage issues, appraisal values, repair requests and other items along the way that the buyer and seller will need to work through. Guess who gets to facilitate and negotiate those requests? Along the way an agent may also have to deal with the credit worthiness of a buyer. Nothings worse in a transaction for all parties involved than to find out the buyer cannot qualify. This is an injustice to your buyer if you as an agent haven’t pushed to ensure their properly and fully qualified. The buyer may be out thousands from inspections, appraisal fees and other items and later to find out they really didnt qualify for a loan is just bad business. There is never a time that an agent can and definitely shouldn’t ever sit back and relax in the middle of a transaction. An agent hoping that things will just work out in the end will probably never close a deal, agents and their staff if they have one need to be active and involved along the way to ensure a smooth closing for their clients. Most often there will be items that come up along the way and there is a certain expectation of these items. 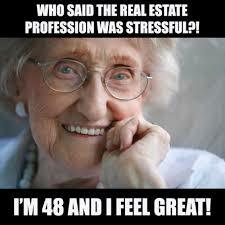 Experienced agents will already know about how to address many things and plan to handle them quickly and efficiently. For more information on the activities of real estate agents and a real estate agents reality, please contact us or leave a comment below. We’d appreciate the opportunity to assist you!